So What Does It Take to Get in the Race? Think you’ve got what it takes for a dash acrossChina? TV host Allan Wu shares some advice forreality-show wannabes with Mike Peters. As the third season of The Amazing Race: China Rush hits the TV airwaves this month, Chinese-American host Allan Wu has a message for viewers who want to try out for the show next season: It’s just going to get tougher. While having to find their own way, competitors face tasks that challenge them mentally, physically and emotionally – until one new champion finally emerges 12 weeks later. “I’ve always believed that the best script is not having a script at all because this means anything can happen,” Wu says. The season’s first surprise has come already: One contestant was eliminated right at the starting line. The show promises viewers will “travel the real China in 576 minutes”. That’s 12 episodes of 48 minutes each, but Wu says the crew shot up to 100 hours of footage to produce some segments. Getting that down to a watchable installment took a team of editors with as much stamina as the contestants, he says. The third season held challenges for Wu, too. 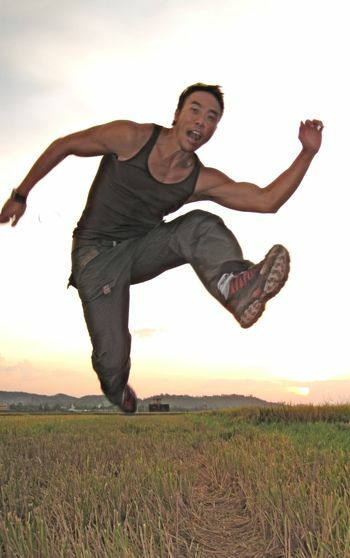 The veteran model, vee-jay, martial-arts actor and entertainer didn’t learn to speak Chinese until he was an adult. After taping at Channel ICS in Shanghai for the English version, he writes on another post, “now I prepare to flex my Mandarin chops for the Chinese version on Dragon TV this afternoon”. So what does it take to succeed on the show – or just get on? With the new season “in the can”, Wu says for the past several months he’s just wrapped up the Adidas King in the Paint China Tour with NBA All-Star Dwight Howard from the Los Angeles Lakers, and then hosted coverage of the Porsche Carrera Cup Asia motorsport race in Malaysia and Singapore. In Malaysia, he’s introducing a brand-new reality show for Channel AXN, and he’s in discussions to do a TV drama series in Japan and a film in Singapore. Before he knows it, he’ll be back in Shanghai, where he moved last year with his family. “We are absolutely loving it!” says the Southern California native, who is thrilled to be getting a better understanding of his cultural roots. Comments Off on So What Does It Take to Get in the Race? 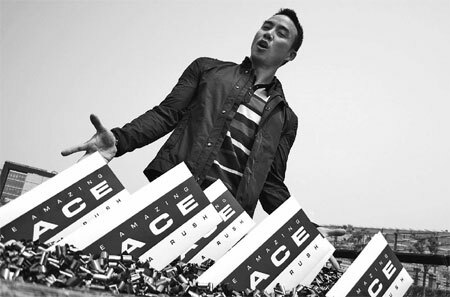 And just like that, the newest season of The Amazing Race China Rush is off and running…or racing! Last Sunday, we’re premiered the first episode, and it’s been great to see how happy our fans are to finally get this show on the road. I’m also excited to be able to finally share some pictures from the race myself. As many of you already know, we chose to kick off the new season from the iconic Bund in Shanghai, and all the teams were amped up and ready to go! …and before you could say “Intersection,” it was time to “Go!” In an unexpected twist of fate, I announced that one unfortunate team would be eliminated at the starting line if they were the last team to complete the first challenge, which required every team to find the symbol for “One” in the ancient Hanci dictionary. Rob and Jia Jia were the last team complete the task, and I had the unenviable responsibility of delivering the gut-wrenching news. Sorry, Rob and Jia Jia! Henry and Jennifer were the last team to arrive, but this leg happened to be a non-elimination round so they were still in it to win it. Of course, we just had to give them a small “Speed Bump” of a surprise for the next ep! …especially when you never know whether your name is next on the chopping block! “The King in the Paint” is in Da House! The race is finally off and running here once again in China! We just kicked off the newest season last Sunday on Channel ICS in Shanghai with the English version, and now I prepare to flex my Mandarin chops for the Chinese version on Dragon TV this afternoon at 4 PM. I’m excited for all of our fans that have waited for us to bring to them another adrenaline-pumping season of The Amazing Race China Rush. In the meantime, I’ve been staying really busy with work in the Asia region while still returning to the audio suite to do the voiceovers for the race. After spending my first summer literally “hanging out” in Shanghai, I’ve discovered that not that much really happens here. Maybe that’s why most of my friends skip town for the summer on holiday while I just stuck around realizing that everything gets back up and running in August. Next year, I’ll definitely plan to go somewhere over the summer holiday before touching down back in Shanghai. Dwight Howard is a natural born entertainer who knows how to keep the crowd engaged and entertained with his comical antics and positive energy. I tried to coax the 2008 NBA All Star Slam Dunk Champion into showing these boys how the big boys “throw it down,” but he politely declined because he’s still in rehab for his back surgery. Fortunately, everything is on schedule for “The King in the Paint’ to start playing in the new NBA season so I’m sure we’ll have many opps very soon to see him dominate the paint and dunk the ball over and over again! Once I completed this Adidas promotional tour, it was time to zip off to Kuala Lumpur, Malaysia, for another exciting weekend of motorsport racing for the Porsche Carrera Cup Asia. It’s been a while since I’ve been back to KL so it was nice to still have so many fans welcome me back here. Hopefully, we can have The Amazing Race Asia return for another fifth season. But until then, I’ll keep myself busy doing these other races instead! Comments Off on “The King in the Paint” is in Da House!